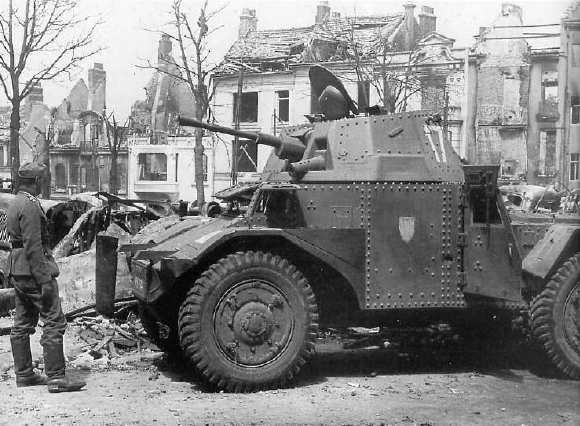 The Panhard 178 was an advanced French reconnaissance 4x4 armoured car that was designed for the French Cavalry before World War II. It had a crew of four and was equipped with an effective 25 mm main armament and a 7.5 mm coaxial machine gun. Like some of my other models I am unsure of the manufacturer of this one. 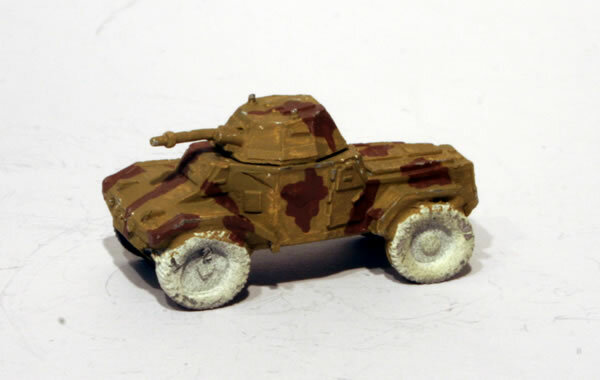 It started with a white undercoat and I have started to paint the camouflage. The FoW version is much more detailed and I will probably retire this model and use it within a piece of scenery.